Comments: Not fully winter hardy in zone 8, but will return when damaged by cold. Cut back freeze damaged plants in late winter. Grows especially well near walls and under roof overhangs where plants receive some protection from freezing temperatures. Hummingbirds and butterflies feed on the nectar from its flowers. 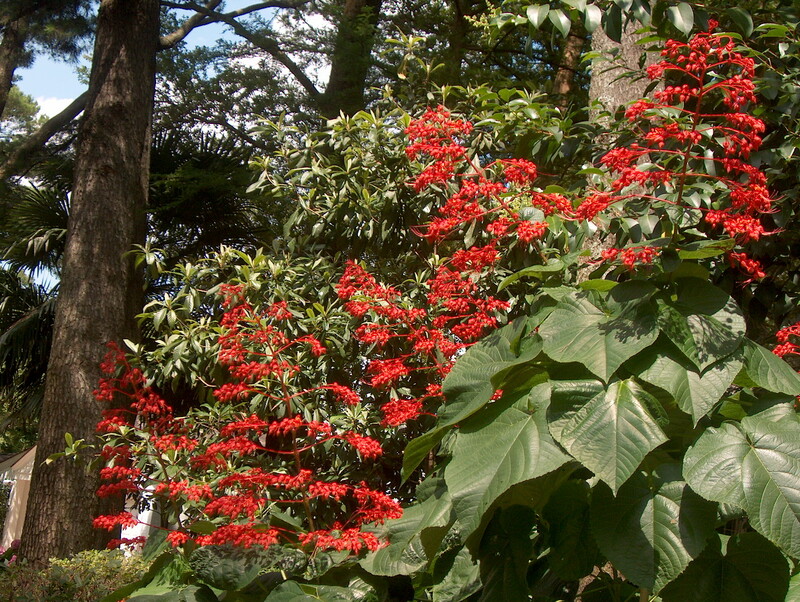 Spreads freely in a planting bed, but not as aggressive as some of the other clerodendrums. Blooms over an extended period from early summer into the fall.